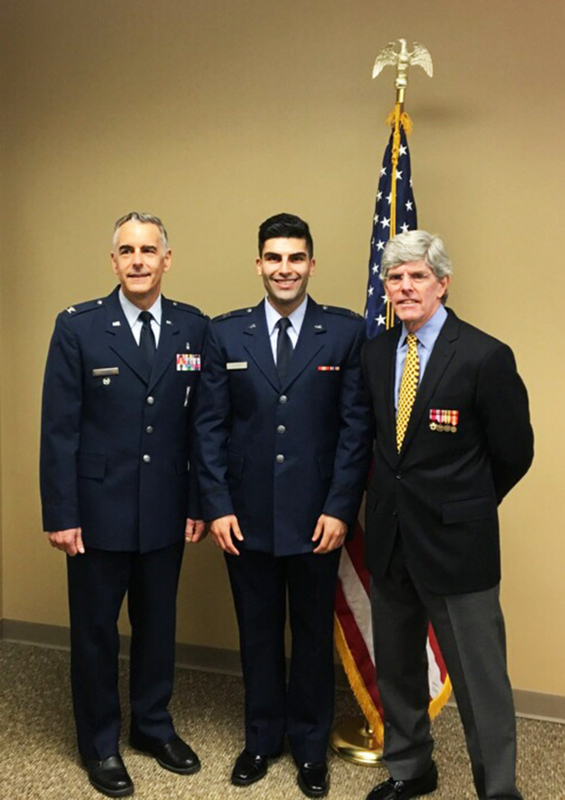 On Thursday, May 10, the U.S. Air Force welcomed its newest dental officer, Capt. Khashayar Azimi ’18. Clinical Associate Professor and retired Col. Salvatore R. Cutino and Col. Timothy Saunders, assistant dean for Clinic Administration, presided over the commissioning ceremony and presented the oath of office. Azimi, a 2018 graduate of Detroit Mercy Dental, was the only recipient among all dental schools in the United States to receive the Financial Assistance Program (FAP) Scholarship, a truly remarkable achievement. He will pursue a Master of Science in Periodontics at University of Detroit Mercy. Once he completes the three-year program, he will enter active duty service in the rank of major. Congratulations to the new captain!